Will your end of season football predictions lead you to some cash prizes? The end of the season is fast approaching, as we enter the business end up and down the country. 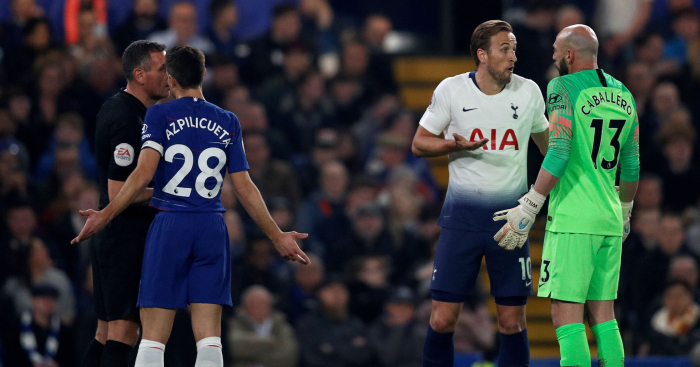 Whether it’s fighting for the Premier League title or just to stay in the Football League, the stakes couldn’t be higher for the majority of the 92 clubs in the top five leagues. There’s so much still to be settled with a ton of permutations, and as football fans, we always think we know how it’s all going to play out. Our End of Season Predictor gives you the perfect chance to put your football predictions to the test, with some decent cash up for grabs. Who will win the Premier League? Unsurprisingly, Man City are odds on to retain their crown, 4/9 on according to Oddschecker. They’ll move one point clear of Liverpool if they win their game in hand, meaning they’re in pole position to do so with eight games to play. Pep Guardiola’s men are just x1 to win the Premier League, with Liverpool x2 and given how the pressure has been getting to Jurgen Klopp’s side in recent weeks, it’ll be hard to bet against City. Which team will finish third and fourth in the Premier League? This is far from straightforward, with just four points separating Spurs in third to Chelsea in sixth. We’ve given you a list of six combinations to choose from, and it doesn’t matter who comes third or fourth which should help. Tottenham and Man Utd at x2 might be the best combination to go with at this stage but it’s going to be a close run thing. Which team will be relegated from the Premier League? Obviously Huddersfield and Fulham are all but doomed and are not listed as a possible picks. At this stage, the run-in will probably make all the difference with 18th place Cardiff City still to play Man City, Man Utd and Liverpool, while Burnley who are just two points above Cardiff having played a game more, still have to take on Chelsea, Man City and Arsenal. Cardiff are favourites at x1 and given their lack of experience compared to Burnley, could be worth backing for the drop. Who will finish as top scorer? The three previous winners of the Premier League golden boot are all good options for this one. Sergio Aguero currently leads the way on 18 goals, just one ahead of Mo Salah and Harry Kane, both on 17. Kane is just x1 to finish as top scorer for the third time in four years, and providing he stays injury free, there’s no reason why he won’t achieve that impressive feat. Who will win the Championship? Norwich are currently four points clear of Sheff Utd at the top of the Championship, with promotion very much on the cards. Unfancied for a return to the top flight in pre-season, Daniel Farke’s men have been extremely impressive with their attacking style of football and while Sheff Utd might run them close, after six straight wins and just one loss in 2019, it’s hard to see how they’ll squander a pretty handsome lead. Which team will be relegated from the Championship? Presuming Ipswich and Bolton are virtually down, Rotherham who currently occupy the final relegation spot, are your best shout. Paul Warne’s chargers operate on a budget more akin to League One than the Championship and have won just three in their past 15. It’s difficult to make a case for their survival. Which two teams will be automatically promoted from League One? It’s any two from three for this one. 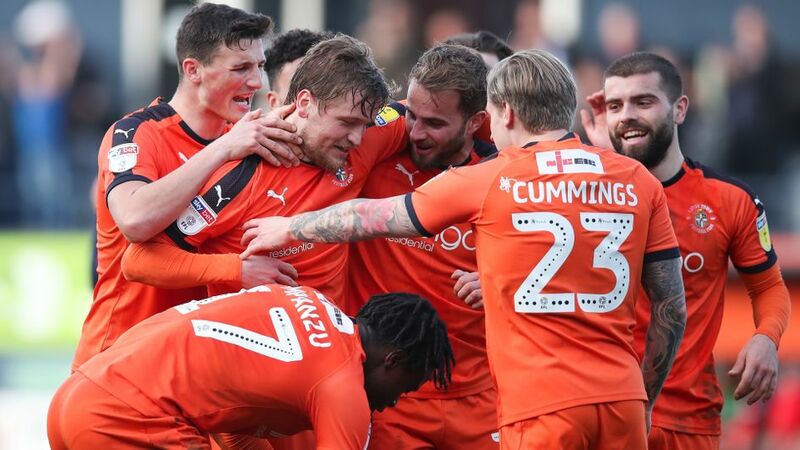 Luton are enjoying a record breaking unbeaten run of 26 matches and are almost dead certs for promotion, nine points clear of third. That leaves either Sunderland or Barnsley. Both teams are unbeaten for months, and given Sunderland’s better strength in depth and the fact they’ll move second if they win their two games in hand, Luton and Sunderland get my vote. Which two teams will be relegated from the League Two? Unfortunately it looks like one of the world’s oldest league clubs Notts County, will be dropping out of the league for the first ever time. They’re three points from safety but have won just seven times all season. Macclesfield are much improved under Sol Campbell and will overtake Yeovil if they win their game in hand. Yeovil have lost four in a row and are in freefall, currently without a permanent manager. It’s Notts County and Yeovil for me. Other two questions: Man City are virtually dead certs to win the FA Cup, facing Brighton in the semi-finals, with either Watford or Wolves awaiting them should they make the final. You’d be mad to back against them, while our other question asks you to predict how many league games City will fail to win this season. Aside from games against Spurs and Man Utd, City have a favourable run-in where they shouldn’t drop too many points. But this time of year does strange things to even the top teams, meaning a slip up might not be too far away. I’d go with two at x1. Think you know how the season will pan out up and down the leagues? Come and get your predictions in for some decent cash and tweet us @ipoolsHQ if you agree with our tips or not! i-Pools.co.uk is licensed and regulated by the UK Gambling Commission. (license number 000-036291-R-317480-003).